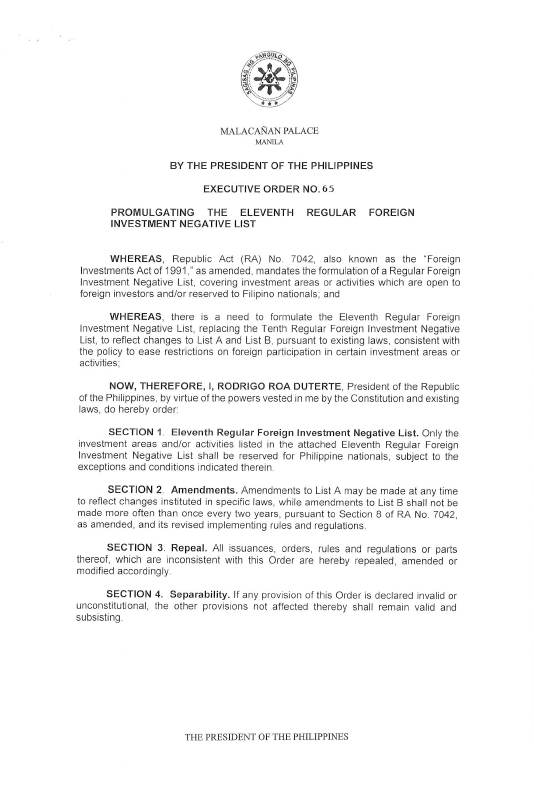 The 11th Regular Foreign Investment “Negative List” or the Executive Order No. 65 released last October 29 allows new areas of investment or activities for foreign investments and equity. This includes internet businesses, training centers, investment houses, and wellness centers. National Economic and Development Authority (NEDA) stated that the five areas “…may be amended by executive power, and do not require legislative action.” A lot has changed in the provisions compared to the 10th negative list issued in 2015. Meanwhile, the 30 percent foreign equity for the advertising sector remains. Contracts for the construction of defense-related structures. 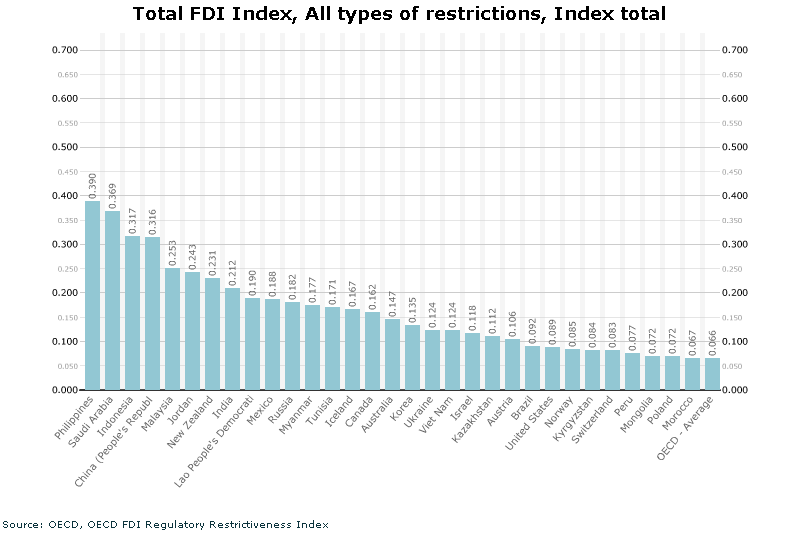 The foreign direct investments (FDI) restriction chart from the Organization for Economic Co-Operation and Development (OECD) shows the Philippines as the most restrictive in 2017 /GRAPH OECD FDI Regulatory Restrictiveness Index database. In 2017, the Organization for Economic Co-Operation and Development (OECD) ranked the Philippines as the most restrictive country for foreign investments. Therefore, in response to the rising domestic and global demands of competitiveness and job opportunities, the updated list is meant to liberalize as many sectors as possible. The Executive Order No.65 includes the full list, exceptions, and an annex of professions that foreigners are allowed to practice in the Philippines. With this, the government sees an increase in foreign direct investments in the following years.